As we begin to prepare for Christmas, we start to see an increasing number of seasonal lights appearin g around us. In our city centre, in the streets, in and on some houses and possibly even in our own homes. From the magnificent displays we see on some houses in St Albans to a simple lit star or welcome candle arch in a window. These lights a re, for some, just beautiful displays giving expression to the enjoyment of the season. For us, as Christians, they are a symbol of the coming of Jesus, the Light of the world. 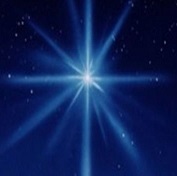 As the star lights the sky leading the wisemen and foretelling the birth of the Messiah.Today we look forward, hearing once again the promise of God as we start our Advent journey. Our first reading comes from the Prophet Isaiah as we read his great prophecy of the coming of the King. The people walking in darkness have seen a great light; on those living in the land of deep darkness a light has dawned…. For to us a child is born, to us a son is given, and the government will be on his shoulders.And he will be called wonderful Counselor, Mighty God, Everlasting Father, Prince of Peace. 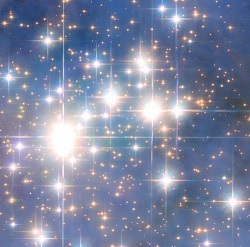 As you go through the day keep a count of the number of “artificial” stars you see. Give thanks for the message they bring as you see each one. On an A4 piece of paper draw as many different shapes of stars as you can. As you do so think of the many ways God speaks to us of the coming of Jesus. On the paper, either front or back, jot down the things you would like God to reveal to you in this Advent season. Keep the paper so that you can refer back to it in the new year and see the blessings God has given you during this time of reflection. “The people walking in darkness have seen a great light”. Light of the world may you shine ever brightly in our lives. Help us to see you more clearly as we once again prepare for your coming into the world. Amen. Loving God we thank you for your Word to the Prophets so long ago. That they spoke words for their generation and yet words which still speak to us today. We thank you for these words from Isaiah which we have heard so often but which never lose their power and meaning. May this season of Advent open my eyes to the light of your presence in my life. Amen. Loving God as we begin our journey to Christmas day and once again celebrating the coming of your Son Jesus, we pray that we may create space in our busy lives to spend time in preparation so that we may welcome you more deeply into our lives. We search for your Light in the midst of the darkness of the world and our lives. Help us to read and consider the words from your scripture, in new and exciting ways, this advent time. Let us feel the passion of the Prophets, their desire for a restoration of the world and the fair treatment of all your people. Their foretelling of the coming of your Son the Prince of Peace which would start to bring this to a reality. Give us the strength and courage to approach you with open hearts and minds. We thank you that you are an ever present God who touches us both in our ordinary thoughts and in our reflective times. That you show yourself to us in the words and deeds of those we meet on a daily basis. May we be sensitive to that presence as we travel through this advent season seeking your Light and presence. Amen. Spend a short time in reflecting on the times when God has shone brightly in your life through friends of family members.